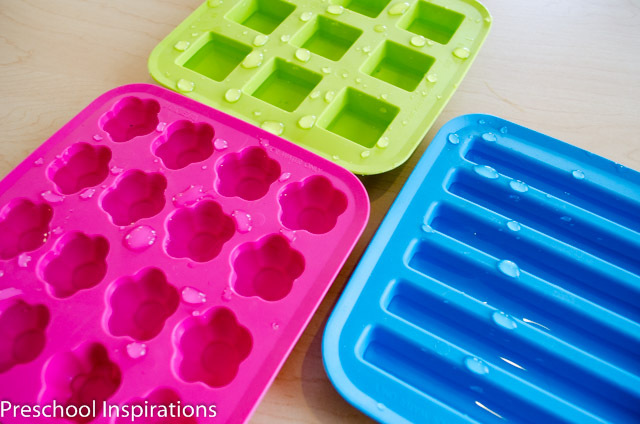 Ice is a blast to play with, and we love using it in both the summer and winter. 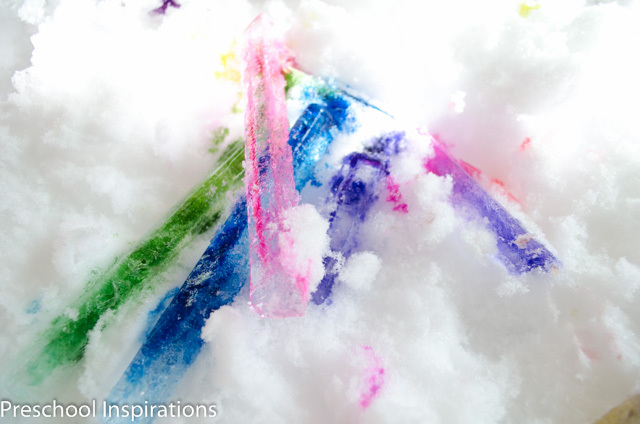 We made colored ice pictures in the snow, and they turned out beautifully. 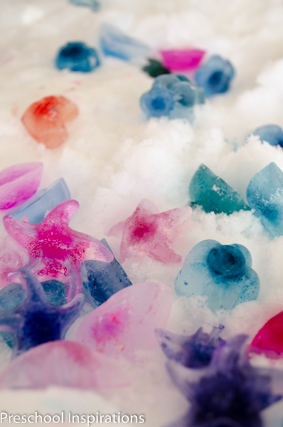 The process was super fun and very easy for little hands to do! 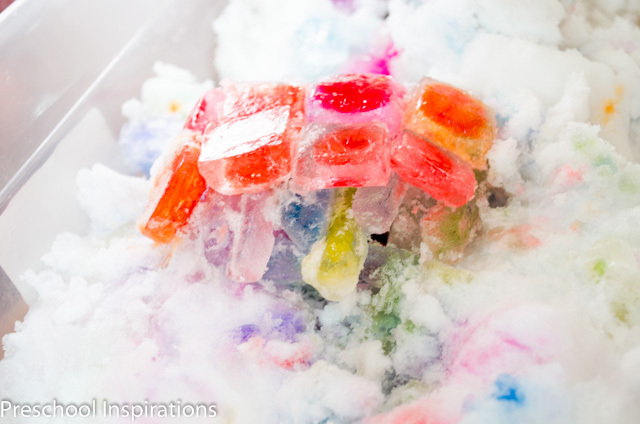 My inspiration for this activity came from the colored ice sculptures by Happy Hooligans. This post contains affiliate links for products I absolutely love. I put water into the containers then brought out our trusted liquid watercolors. 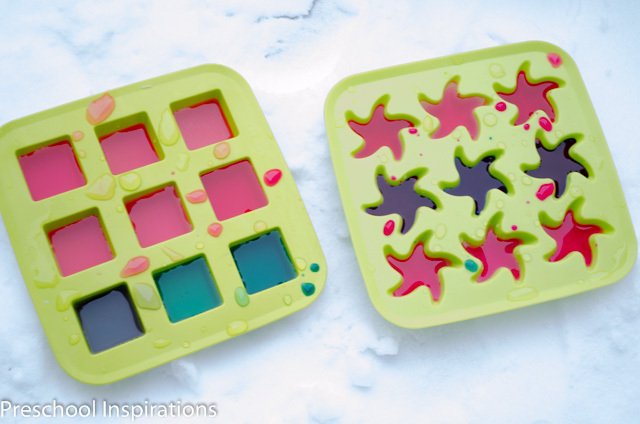 We used both my DIY liquid watercolor recipe as well as Colorations Liquid Watercolor . 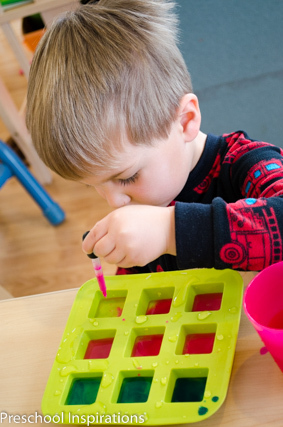 I gave the preschoolers some eye droppers, and they began the beautiful process. I put out fuchsia, yellow, and blue. 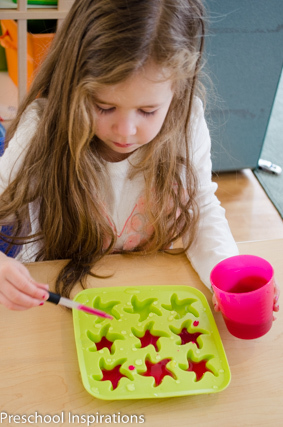 This was a color mixing activity too, so they made orange, green, and purple shapes as well. 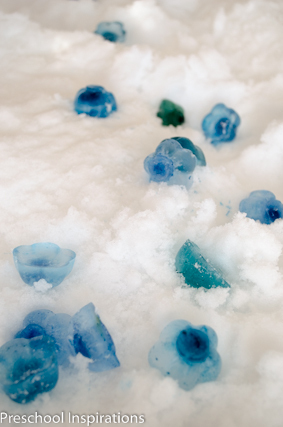 We set them outside in the freezing cold, and we waited and watched as our water turned to ice. It took all day, and I let them harden overnight as well. 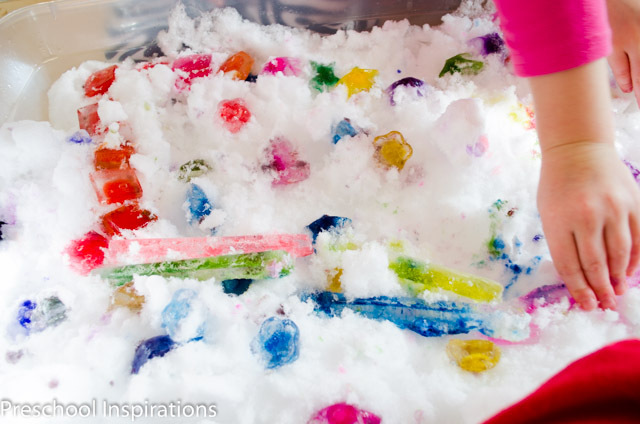 Then we filled our indoor sensory tub with snow and popped out our colored ice shapes. 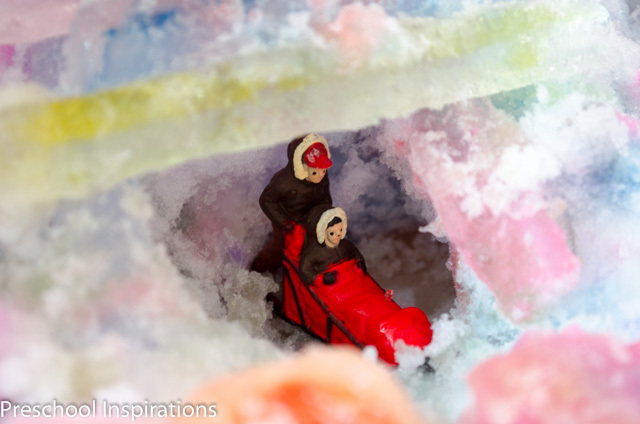 We also happen to be in love with small world play, so the kiddos brought in some Arctic figurines to make an igloo for them. Here’s what it looks like inside the igloo. 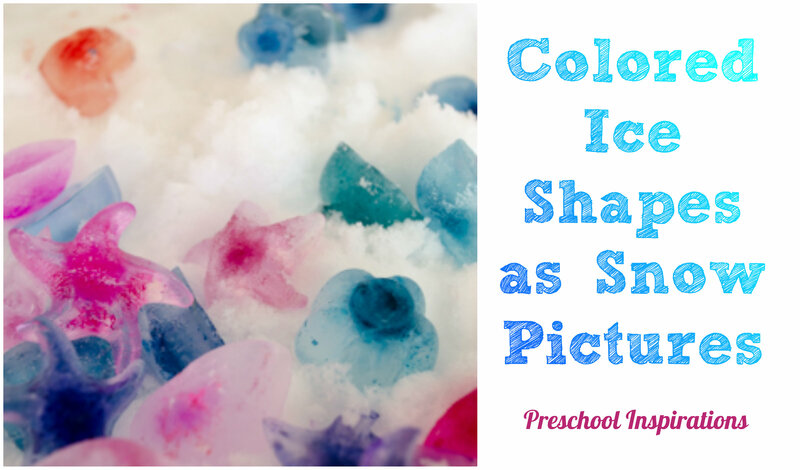 We’ve spent hours playing with our colored ice shapes and love each time it snows so we can do it again!